While Super Bowl Sunday is expected to be the highlight of the weekend for many of you, there are plenty of non-football related things to do this weekend in the cities, towns and villages of the 88th Assembly District. The After Dark Book Club will meet at the Pelham Library (530 Colonial Avenue, Pelham) to discuss “The Witch of Lime Street: Séance, Seduction and Houdini in the Spirit World” at 7:30 p.m. Visit pelhamlibrary.org for more information. Center in White Plains at 7 p.m. Visit countycenter.biz for more information. Cellist Mike Finckel will perform at the Greenville Community Church (270 Ardsley Road, Scarsdale) at 8 p.m. as part of the Hoff-Barthelson Music School artist series. Visit hbms.org for more information. The Westchester Delegation 2017 Budget Forum will take place at The Greenburgh Library from 10:30 a.m.-2 p.m. at The Greenburgh Library (300 Tarrytown Road, Elmsford) to allow local organizations, elected officials, residents, and communities of Westchester County to share their views on the Governor’s Executive Budget for SFY 2017-2018. Contact Debra Lagapa at (914) 939-7028 for more information. The Scarsdale Forum will host Winterfest, its annual membership party, from 7-11 p.m. at the Scarsdale Women’s Club (37 Drake Road, Scarsdale). Food, drinks and music will highlight the evening. Visit scarsdaleforum.com for more information. The Westchester County Mobile Shredder will be in Eastchester at 40 Mill Road from 10 a.m.- 1p.m. Service is on a first-come, first-serve basis. Visit westchestergov.com for more information. The Bartow-Pell Mansion Museum (895 Shore Road, Pelham Bay Park) will present “Edibles in the Outdoor Garden Bed” at 11 a.m. Gardening pro Lauren Gill will speak. Visit bartowpellmansionmuseum.org for more information. The Picture House (175 Wolfs Lane, Pelham) will present “Improv and Sketch Comedy” at 1:30 p.m. Come see live improve performances by Pelham Middle and High School students. Visit thepicturehouse.org for more information. The Playgroup Theatre (One North Broadway, White Plains) will present “Romeo and Juliet” at 8 p.m. and again Sunday at 1 p.m. Visit playgroup.org for more information. The annual Westchester Jewish Council Gala will take place at Congregation Kol Ami (225 Soundview Avenue, White Plains) at 7:30 p.m. Paul Warhit and Jeff Kohn will be honored. Visit wjcouncil.org for more information. The Bronxville Women’s Club (135 Midland Avenue, Bronxville) will welcome jazz pianist Takeshi Asai when he performs in a 7:30 p.m. concert as part of the Midland Music Series. Visit bronxvillewomensclub.org for more information. Chase Padgett will perform “6 Guitars” at the White Plains Performing Arts Center (11 City Place, White Plains) at 8 p.m. Padgett takes on the personality of different performers as he displays his talents on the guitar. Visit wppac.com for more information. 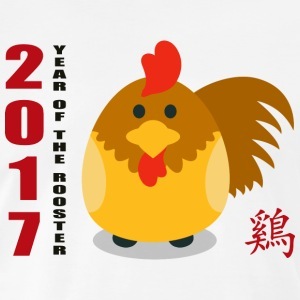 The Pelham Art Center (155 Fifth Avenue, Pelham) will hold a Chinese New Year celebration at 2 p.m. to celebrate the Year of the Rooster. Visit pelhamartcenter.org for more information. The Junior League of Pelham will host “Pass It On Pelham: A Collection Event” at The Manor Club (1023 Esplanade, Pelham Manor) from 9 a.m.-12:30 p.m. The PJL is collecting gently used baby gear and children’s clothes. Visit jlpelham.org for more information. The Westchester Knicks of the NBA Developmental League will host the Windy City Bulls at the Westchester County Center in White Plains at 5 p.m. Visit countycenter.biz for more information. The Good Dog Foundation will be at The Scarsdale Library (54 Olmstead Road, Scarsdale) so children can practice their reading skills with story-loving dogs. Visit scarsdalelibrary.org for more information. The White Plains Recreation & Parks Camp fair will take place at White Plains High School (550 North Street, White Plains) from 10 a.m.- 1 p.m. Visit cityofwhiteplains.com for more information. The MLK Institute for Nonviolence will host EVBH 2017: Thinking Through the Consequences, a free youth conference, at the Calvary Baptist Church (188 Orawaupum Street, White Plains) from 9:30 a.m.-3 p.m. Visit mlkwestchester.org for more information. Shaarei Tikvah (46 Fox Meadow Road, Scarsdale) will celebrate the installation of Adam Baldachin as the congregation’s new rabbi in an 11 a.m. ceremony. Visit shaareitikvah.org for more information. The Salmagundi Section of the Bronxville Women’s Club (135 Midland Avenue, Bronxville) will host a Super Bowl party at 5:30 p.m. there will be food, games, raffles and more. Visit bronxvillewomensclub.org for more information. The Honorable Pearl Quarles, a New Rochelle resident and the first African-American woman to be elected as a Westchester County legislator, will speak at the Thomas Paine Cottage (20 Sicard Avenue, New Rochelle) at 3 p.m. Visit thomaspainecottage.org for more information. The Beer Noggin (102 Kraft Avenue, Bronxville) will host Decadent Delicious Beers With Breakfast f rom noon-3 p.m. Visit beernoggin.com for more information. The White Plains Library (100 Martine Avenue, White Plains) will hold a Chinese New Year celebration from 2-6 p.m. There will be stories, music, lion dancing and more. Visit whiteplainslibrary.org for more information. Author Gary Belsky will be at the Scarsdale Library (54 Olmstead Road, Scarsdale) to discuss his book “On the Origins of Sports: The Early History and Original Rules of Everybody’s Favorite Games”. There will be a book signing following the 2 p.m. discussion. Visit scrasdalelibrary.org for more information. Cellist Ani Kalayjian will perform at the Bronxville Library (201 Pondfield Road, Bronxville) at 3 p.m. Visit bronxvillelibrary.org for more information.